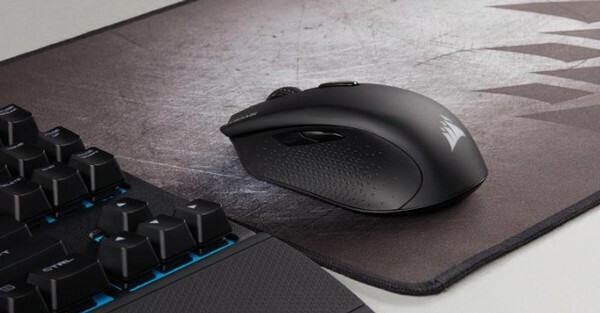 Corsair's small-sized entry-level mouse, the Harpoon, has been facelifted, and it's nowhere near entry level now. The Harpoon RGB Wireless - as its name suggests - now doesn't need a wire to operate. It features a PMW3325 optical sensor, Omron switches rated for 50 million clicks, and RGB lighting as well.